When Can Creditors Garnish My Wages? One way a savvy creditor can make sure they get paid is to file a wage garnishment. A wage garnishment is a tactic commonly used by creditors where they take a portion of your check. Wage garnishment laws vary from state to state. Missouri wage garnishment laws state that creditors can take up to 25 percent of your paycheck or up to 10 percent if you qualify as head of household. Creditors love to use garnishment as a scare tactic, and often tell people who are behind in payments that they will put a garnishment on their check. However, creditors have to follow certain legal procedures before they will be allowed to garnish your wages. If you fall behind in payments, the creditor may file a law suit against you to collect the debt, and obtain a judgment against you for the amount you owe. Once the creditor has received a judgment, they can then file paperwork with the court to have your wages garnished. Garnishments do have time limits, and in Missouri most last about 180 days. However, creditors can continue to renew their garnishments until the debt has been paid in full. Unfortunately, this means your check could be garnished for an indefinite period of time. Garnishments are not only embarrassing, but can make it difficult, if not impossible, to cover your living expenses, which just pushes you further into debt. Fortunately, there is a way to stop the garnishment for good. Filing a Chapter 7 bankruptcy will stop wage garnishments and wipe out debt. Chapter 7 bankruptcy can also stop repossession, as well as foreclosure, and can keep creditors from making further attempts to collect their debts. If it sounds like filing a Missouri Chapter 7 bankruptcy might be the solution you are looking for, you should contact an experienced St. Louis bankruptcy attorney to set up a consultation. The best bankruptcy attorneys offer free consultations and can give in depth advice about your particular set of circumstances. Deciding to file for bankruptcy is tough, but you should remember that ignoring your debt will not change your circumstances, and will likely just make everything worse. 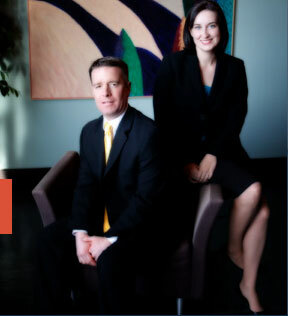 Call a St. Louis bankruptcy lawyer today and find out how to free your financial future from the mistakes of your past.